The Fighterz Fierce and Fabulous Blogger Award! 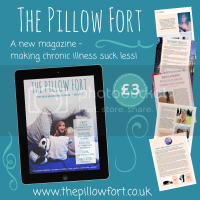 First and foremostly, we would like to welcome you to FighterZine, where fellow Fibromyalgia patients, or “Fibro Fighterz” as we like to call ourselves, can come and find the latest news on Fibromyalgia, share your stories, vent your frustrations and more. We are all in this together, a big old “Fibro Family” is what we are! – and we are glad you are visiting our site. This is our online meeting place, share ideas with each other, and publicize our mission of creating awareness of this well-known, but yet underfunded disease, lacking the proper research we deserve. To provide a safe environment for Fibromyalgia and chronic illness patients to come and discuss their trials, triumphs, hardships, ups, downs, good and bad days. If anyone understands chronic pain and illness and what goes along with it, each and every one of us do. We continually strive to educate the unaware of the existence of Fibromyalgia syndrome, and to help the people who don’t understand, the debilitating effects of Fibrmyalgia syndrome on one’s physical and emotional well-being. Believe in the importance of distraction and the necessity of fun in our lives. We may have Fibromyalgia, but it does not have us. We cannot and will not let illness and pain rule our lives or define who we are! To encourage one another on our low days and to advocate on behalf of each other when we are unable to communicate . Finally, last but not least, we don’t label ourselves as sufferers, but fighterz. I tried magnifying the font, but the low contrast makes that less effective as well. Do you have any suggestions for better “accessibility” to your site? Perhaps a different color scheme that could be activated by a button? Do you know of any Internet tools to help with reading online in cases like this? 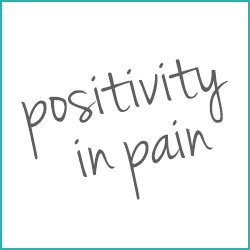 Positivity In Pain: A Chronic Pain Blog! Here at FighterZine, we are all about networking with others and sharing the love. We're currently loving these blogs, so go give 'em some love!